EVERY FRIDAY - We hold a meat raffle that is hosted by the Landlords son Ross. With his loud voice, he'll let you know whether your having Lamb or Beef for your Sunday roast in an atmosphere you will never forget. Come along at 7:00pm on a Friday Evening for he Kick off. 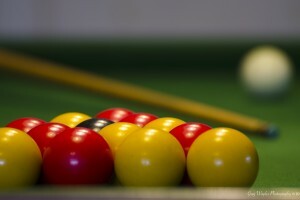 EVERY THURSDAY - The Bull pool Team competes in the Redhill,Reigate District Pool League (RRDPL) at the pub on a Thursday Night. If you think you are the next Higgins or Henry, then come along and get in on the action. If you'd like to play on a regular basis, our team plays most weeks Sept-May so you get to see some of the other great pubs and clubs in the area and play against their regulars. 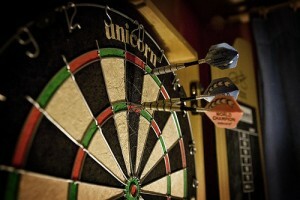 EVERY MONDAY NIGHT is darts night, come down and support the dart team. The Reigate and Redhill district dart league is made up of local teams and is a friendly league of dart players of all abilities. The Dart team is always looking for new blood and it is looking like there will be two teams in 2015.